It’s a very good topic to talk about just before Black Friday. We all love bargains, and many consumers shop till they drop during the Black Week or seasonal promotions. It’s true that often you can find a good deal, but sometimes the offers are pure scams because the prices are manipulated. Some vendors raise their prices significantly just before the sales season and then spectacularly announce a big discount. Ultimately, the price is still higher than before the sale, but the unaware consumers are tempted by the eye-catching “-50%” signs and buy eagerly, thinking they have found a real bargain, but the one that really benefits from the transaction is the merchant. Another common trick is the “buy more, pay less” promotions that make you buy more than you really need, sometimes things that you’ll never use. It’s the opposite of saving money, but your brain is tricked into thinking that you benefit from a bargain. 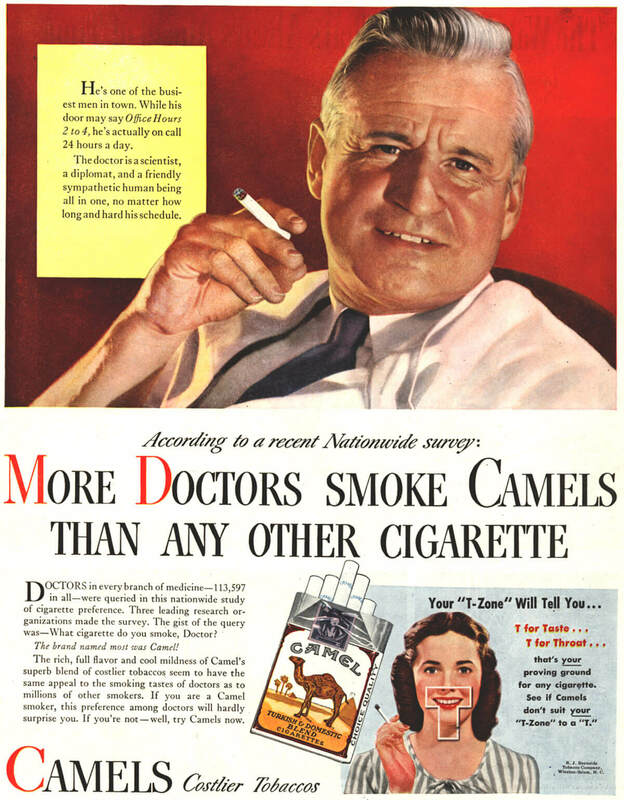 Doctors smoke Camels, so they are good for you, right?! Ad from 1946 (source). You know, the kind of TV commercial with a professionally-looking expert talking about the benefits of the product. It’s a common technique to build trust. Often they are presented as doctors or members of associations with seriously sounding names that call to mind an official institution. Do these organizations really exist? Are these people legit experts or just actors? Why on earth would a health organization promote a certain brand of products?! No one knows, and no one fact-checks this. But even that we are not really aware of it, we unconsciously remember the product as reliable and recommended by experts, and this affects our shopping decisions. Other similar and age-old technique are adverts with celebrities and influencers. Even if we actually don’t believe that Leo Messi does buy this brand of chips, it doesn’t matter – who doesn’t want to be like him, even when it comes to eating the same snacks?! Our subconsciousness does the trick and we buy the product. A similar case to the previous one, but it involves “regular people” opinions, mostly on the internet. 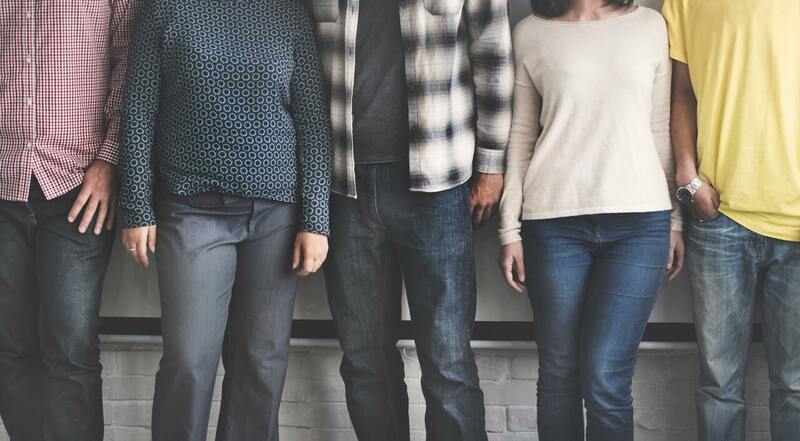 Nowadays online research is an integral part of our shopping habits – according to Pew Research Center, more than 80% of shoppers rely on online reviews before making a purchase. Marketers know it very well, and this is why word of mouth marketing exists. The internet is full of fake reviews that were posted either by the company employees or people that are being paid for it. 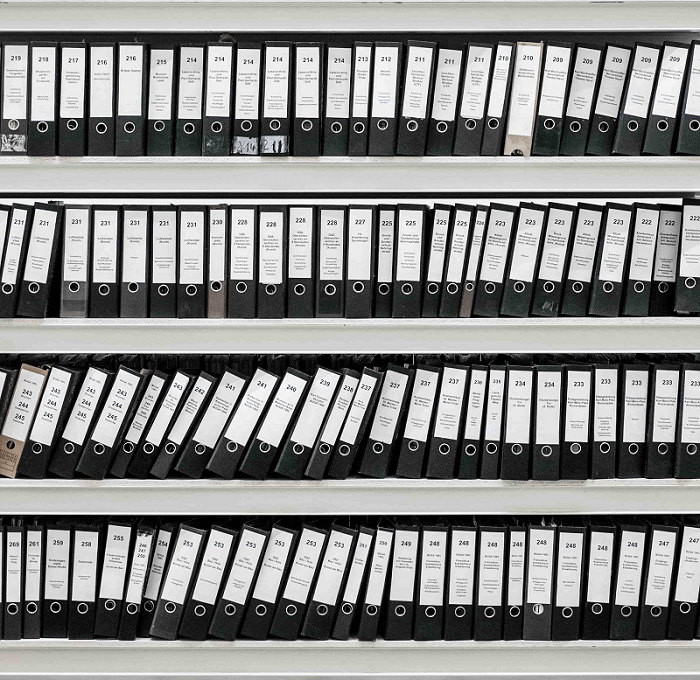 WoMM is a big business now and there are many agencies that offer these services. These opinions absolutely should not be trusted, but how we can distinguish which opinions found on social media or review and rating websites are legit? 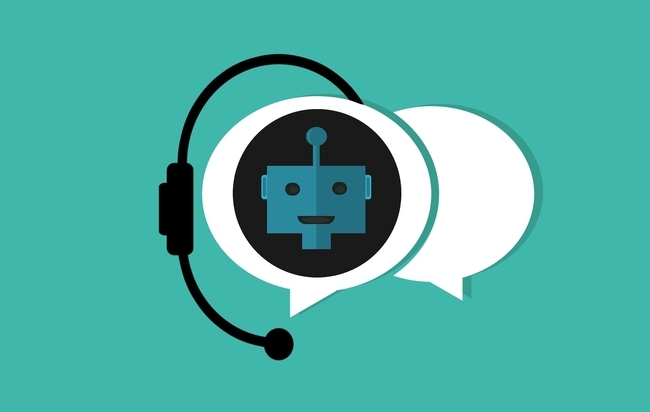 There is no actual way to know it, but very often we are misled by the manipulative reviews and make a purchase based on a not very reliable opinion we have seen somewhere on the internet. Companies love to refer to positive emotions to build their brand image. This is why many adverts are purely entertainment and sometimes don’t really look like selling something. They are telling a nice story and we want to see them over and over again and share with friends, because why not? The ad is so touching, or it made you happy, or it’s just so cool. This is how viral content is made, and it builds positive feelings towards the brand. You won’t think negatively about this company, because why would you, if in your mind it’s associated with puppies or sweet kiddos from the ad? And what about negative emotions, are they used by companies to sell? Of course. Fear and anxiety, for example, are very often used as an incentive to buy – for example, when you are put under pressure with phrases such as “last chance!” “promotion ends soon!”, “last piece in stock”, “someone just bought this” makes you feel preoccupied that soon you won’t have the chance to buy, and it results in a hastily and ill-conceived purchase. What works better than a manipulative ad? 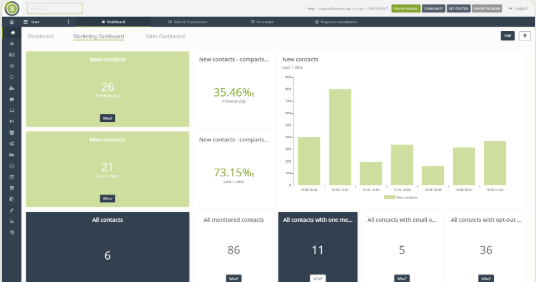 Marketing Automation – try it now for free. 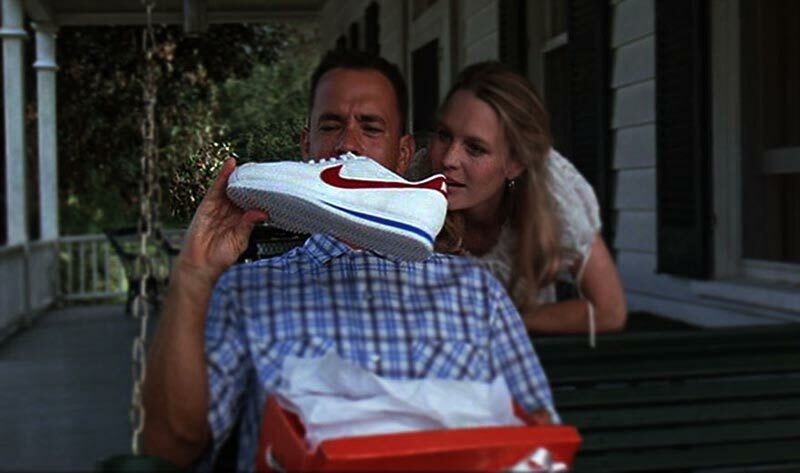 A very memorable product placement: Nike in Forrest Gump (source). Although no one of us wants to admit to being prone to such techniques considered as cheap, inserting a product in a TV show or a movie, really works – even when sometimes we are not aware that we are looking at a certain product or it’s not clearly exposed and appears only in the corner of the screen. It’s even more powerful, if we like the character portrayed or are impressed with the lifestyle shown on screen. When we see the placed product while shopping in the store, something kind of clicks in our heads and we feel the urge to buy, despite the fact we don’t recall seeing the merchandise on screen. There are obviously much more manipulation techniques, as marketers are very creative and innovative. What do you think about those methods? Are you against them as a consumer, or maybe you also use those techniques yourself in your marketing campaigns? Let us know in the comments!